2018 marked an important year for Punjabi Studies at the University of British Columbia and for Punjabi in British Columbia: The Tenth Annual Harjit Kaur Sidhu Memorial Program. The program has enabled UBC Asian Studies to highlight the culture, history, and diversity of the Punjabi language in Canada for the past ten years, by giving UBC a platform to publicly showcase the vast achievements and memorable contributions of Punjabi scholars/artists/activists, local Punjabi-language writers, and students. We look forward to the next Program, on 14 March 2019! From March 2 to 4, 2018 the community was invited to join a three-day program that was sponsored by the Sidhu family and by additional partners, including: the Dean of Arts, the Centre for India and South Asia Research, the Peter Wall Institute for Advanced Studies, the Department of Theatre and Film at UBC, and the Dr. Hari Sharma Foundation/Gursharan Singh Memorial Lecture Committee. This year’s program featured Gurvinder Singh, an award winning Punjabi-language filmmaker whose films shed light onto important social issues that still continue to impact today’s Punjabi Canadian, as well as Punjabi, communities. Two of Gurvinder Singh’s films were screened for a Vancouver audience on March 2 and 3. 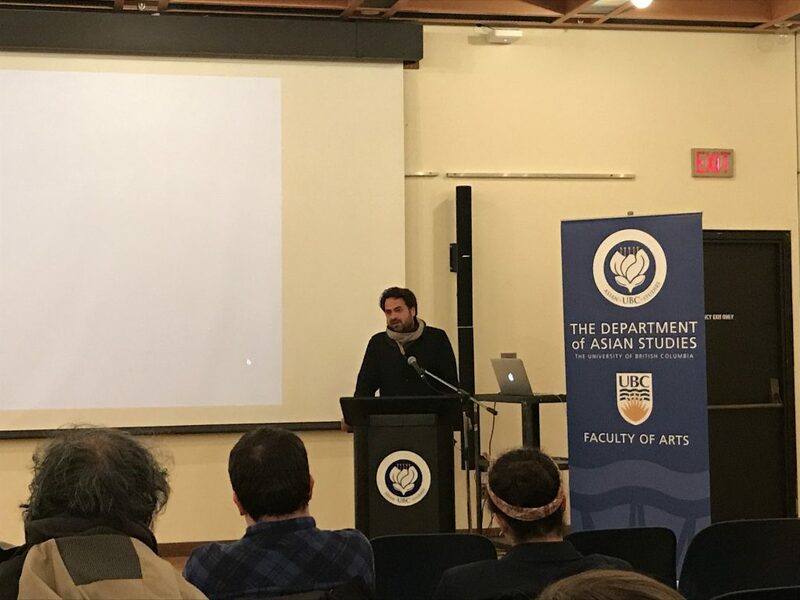 “Awāzāṅ”(“Voices,” 2016), a film which meditates on Punjabi language, literature, and the past through exploration of the person and poetry of UK-based Punjabi language poet, Amarjit Chandan, was screened at UBC West Point Grey, and “Anhe Godhe dā Dān” (“Alms for a blind horse,” 2011), which portrays caste and class marginalization in the Indian Punjab today in poignant and unsparing terms, was screened at UBC Robson Square. Many students, film enthusiasts, and community members came out to spark an engaged and critical dialogue. 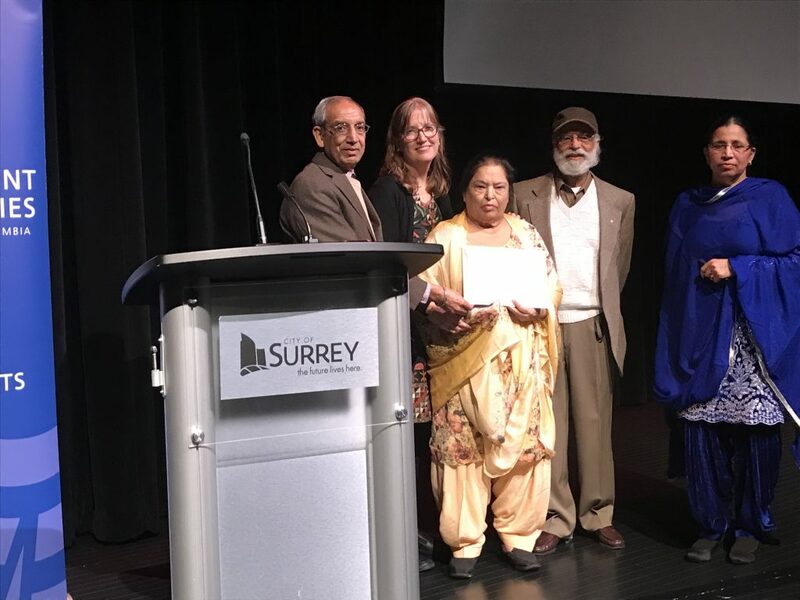 The main event was held in the city of Surrey on March 4, centred on the screening of another Gurvinder Singh film, entitled “Chauthī Kūṭ” (“Fourth Direction,” 2015). This haunting film explores the violence of 1984 for individuals and families in the Indian Punjab, challenging the polarized perspectives that prevail in discussion of 1984, where one is either simply pro-Khalistan or pro-Indian state, to show the complexity and contradictions that comprise the conflict in Punjab in the 1980s. During the Saturday event, the community was again asked to join in public conversation with Gurvinder Singh, to talk openly about the pressing issues that were addressed within the film. The 2018 event also included the presentation of the annual UBC Lifetime Achievement Award in Punjabi Letters, which was presented to Inderjeet Kaur Sidhu, a Punjabi-language author who has played a highly active role in organizing local literary circles and activities in BC. Students from UBC, Kwantlen, and British Columbia high schools were part of the audience at the main event and came out to recognize and to congratulate the winners of the program’s annual student essay-writing contest as well. The Harjit Kaur Sidhu Memorial Program has made possible the rejuvenation of Punjabi Studies at UBC, in Harjit Kaur Sidhu’s loving memory. Harjit Kaur Sidhu (nee Gill) was a devoted wife and mother, and a strong advocate for education, Punjabi culture and language, and women’s issues. UBC’s Punjabi Studies Program would like to sincerely thank the Sidhu family for their generous support and on-going commitment to advancing Punjabi Studies at UBC, supporting student learning, and recognizing and supporting work done in and for the Punjabi language. For more information about Mrs. Harjit Kaur Sidhu and for more details regarding previous years’ events please visit: http://blogs.ubc.ca/punjabisikhstudies/sidhu Please also mark your calendars to attend the next Program on March 14, 2019, where we will welcome poet, public intellectual, and Punjabi language enthusiast Mushtaq Soofi from Lahore, Pakistan.